Distinctive lady's ring for everyday wear or that super special occasion. 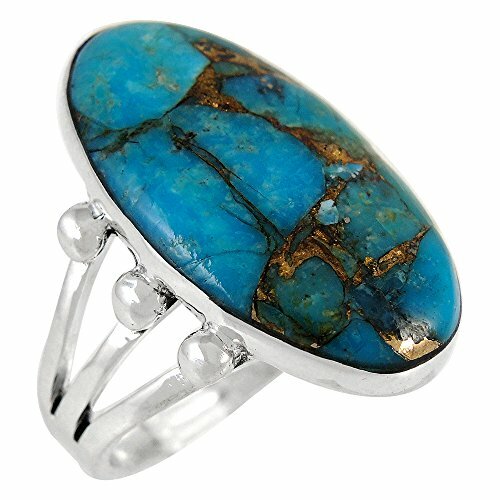 Solid sterling silver, genuine copper-infused matrix turquoise, and fine craftsmanship. Trendy but with a touch of Southwest flair that is always exciting! See ruler image for dimensions.